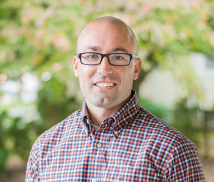 Andrew Schmitt, LCSW, is a facility director for Mazzitti & Sullivan Counseling Services. He graduated with a Master of Social Work degree from Rutgers University in 2001 and received his LCSW in 2004. He has been in the field of outpatient counseling since 2001, working in a variety of settings and levels of care. Andrew has a passion for program development and appreciates the diverse populations and individuals he has been able to work with over the years.